Whether casual or competitive, bowling is a sport enjoyed by millions of Americans every year. Its history dates back as far as the Middle Ages, but it was during the late 50s the sport’s popularity really began to surge. In 1955, the amount of bowling centers operating in the U.S. was 6,600, according to The Atlantic. By 1963, that number had almost doubled to 11,000, thanks to the invention of the automatic pinsetter. 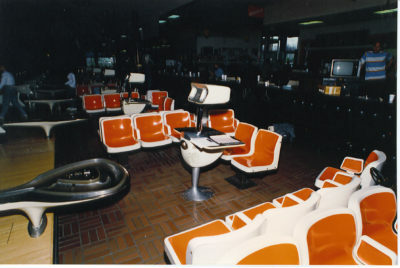 Sunset Lanes bowling center first opened its doors in Beaverton, Oregon during that boom in 1963. Proprietors Tom Burke and Jon Tang began working at Sunset Lanes when they were just 16-years-old when the facility was owned by Brunswick. They paid their dues like most would in their first job experience, working in guest services cleaning tables, floors, and restrooms. Little did they know that their first job would ignite their passion for providing family entertainment and customer service for their community. Over the next 25 years, Burke and Tang continued to work for Brunswick, opening new facilities in California and Utah. 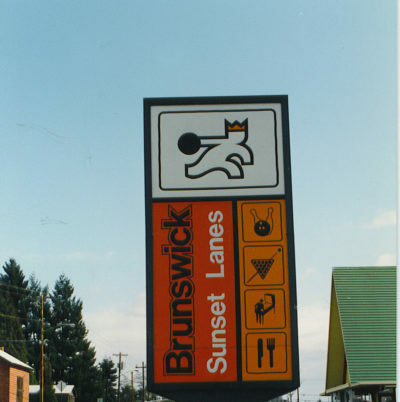 In 1998, the two discovered an exciting opportunity back in Beaverton: a lease for Sunset Lanes was available. They jumped at the chance to return to their roots and acquired the bowling center to make it their own. 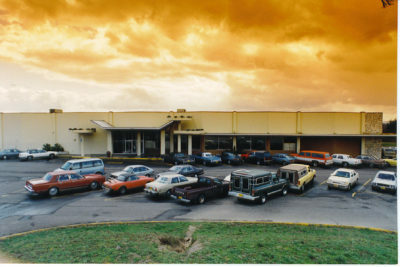 Over the next 19 years, they owned and operated Sunset Lanes, a neighborhood entertainment center where families and friends could bowl together, eat delicious food, and play video games to their heart’s content. Being in this business for many years, the owners of Sunset Lanes have noticed plenty of changes to the ways in which people enjoy the sport, though one thing has always been constant: “Bowling has always been popular,” said Burke. “It’s the number one sport in the country.” What has changed are the most common ways people enjoy bowling. 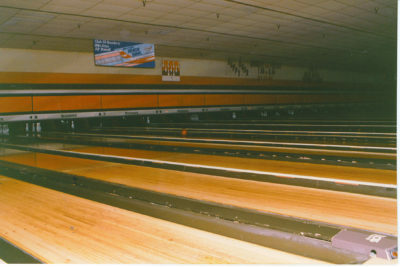 Back in the day, the lanes were flooded with traditional league bowlers taking on their opponents over the course of an intensive 35 week schedule. While traditional league play is still popular, many of today’s guests are more casual and less frequent. Modern-day lanes are often occupied by company events, birthday parties, groups of friends enjoying a casual game, or couples wanting to switch up their date night routine with some cosmic bowling. No matter who the clientele is, the owners love being a part of this industry because it allows them the opportunity to have a special relationship with all of their guests, whether they come in twice a week or twice a year. In 2015, a new opportunity arose for the owners of Sunset Lanes. Another bowling center was preparing to close its doors, this time in SE Portland. The two had a vision to revamp the old facility and add some modern amenities they knew their guests would love. 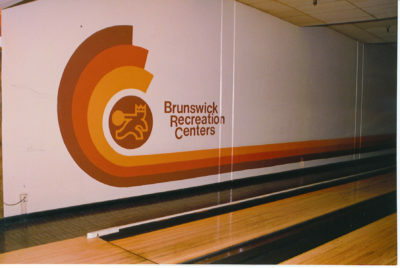 Before long, they had acquired their second bowling center and quickly set to work on a complete remodel down to the studs. Nine months later, KingPins Portland Family Entertainment Center opened its doors, offering 40 stunning new bowling lanes, a VIP lounge, a TapHouse bar and grill, and a 4,000 square foot arcade with a mix of classic and new favorites. In 2015, Burke and Tang had yet another opportunity arise, but this time were faced with a tough decision when they learned that Sunset Lanes would be torn down to make way for new construction. They had to choose between closing their Beaverton location completely or starting fresh with a new facility. Ultimately, they chose the option that would allow them to continue with their vision of providing the quality entertainment they had always strived for, and would also be an exciting opportunity for them to grow with their community. In June of 2018, Sunset Lanes will officially close its doors for a state-of-the-art rebuild and transformation into KingPins Beaverton. The new building, located just behind Sunset Lanes, will follow the modern theme of KingPins Portland, with all of the best aspects of Sunset Lanes carrying over to the new facility. Patrons will immediately recognize the friendly staff, signature food and drinks, and warm and welcoming atmosphere. The new KingPins Beaverton facility will feature 45,000 square feet of fun, including 24 Main Lanes, 10 additional lanes in the TapHouse Bar and Grill, and new KingPins attractions like laser tag and virtual reality games. An exciting new chapter for the Beaverton community offering wonderful memories for years to come! The goal of KingPins is to be the best in the industry by making guest satisfaction a top priority. A huge part of this is accomplished by hiring an amazing team to work in each facility. For KingPins, an ideal team is made up of staff that are friendly, sincere, and are genuinely excited to provide quality guest service. KingPins employees range from 16-80 years old; some are getting their first job experience, and some have been a part of the company for almost 20 years. No matter how long they’ve been with the company, KingPins values their staff and the impact they make on the community by offering a hospitable environment at both of their facilities.